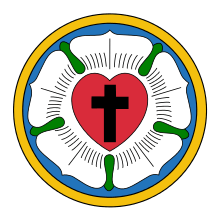 The General Council of the Evangelical Lutheran Church in North America, or, in brief, the General Council was a conservative Lutheran church body, formed as a reaction against the new "Americanized Lutheranism" of Samuel Simon Schmucker and the Evangelical Lutheran General Synod of the United States of North America. The General Council was founded in November, 1867, with ten Lutheran synods becoming members Founded at the instigation of the Pennsylvania Ministerium, the General Council placed special emphasis on the Lutheran Confessions and their role in the life of the church. In 1872, the General Council adopted the Akron-Galesburg Rule, written by Charles Porterfield Krauth, reserving Lutheran pulpits for Lutheran pastors and Lutheran altars for Lutheran communicants. Theodore Emanuel Schmauk was President of the General Council from 1903 until the formation of the United Lutheran Church in America (ULCA) in 1918. The ULCA was formed by the merger of three independent German-language synods: the General Synod, the General Council, and the United Synod of the South. At the one hundred and nineteenth convention of the Pennsylvania Ministerium in 1866, a fraternal address was issued "to Evangelical Lutheran Synods, ministers and congregations in the United States and Canadas, which confess the Unaltered Augsburg Confession, inviting them to unite in a convention for the purpose of forming a union of Lutheran Synods." This call urged "the needs of a general organization, first and supremely for the maintenance of unity in the true faith of the Gospel, and in the uncorrupted Sacraments, as the Word of God teaches and our Church confesses them; and furthermore for the preservation of her genuine spirit and worship, and for the development of her practical life in all her forms." Although none of the synods remaining in the General Synod responded favorably to this official letter, representatives from the Synod of Pennsylvania, the English Synod, the English District, and the Joint Synod of Ohio, and from the Wisconsin, Michigan, Pittsburg, Minnesota, Iowa, Missouri, Canada, New York, and Norwegian synods assembled at Reading, Pennsylvania, on December 11, 1866. The Augustana Synod was represented by letter. There they unanimously adopted a statement on the "Fundamental principals of Faith and Church Polity." A committee was appointed to outline a constitution to be submitted to the respective District Synods. They required ten synods to accept the constitution before it would go into effect, uniting the synods as district synods in the new General Council of the Evangelical Lutheran Church in North America. Ten synods adopted the constitution and the first convention met on November 20, 1867, at Fort Wayne, Indiana, where the General Synod had suffered a schism the previous year. A total of twelve synods sent representatives. Several districts of the Missouri Synod sent a letter proposing a series of free conferences to discuss theology before joining together. Likewise, the Ohio Synod declined to join, but sent representatives to discuss differences of theology and practice. Is the teaching of chiliasm (millennialism) acceptable in Lutheran churches? Should Lutheran congregations permit mixed (open) communion? Should Lutheran pastors exchange pulpits with "sectarians" (i.e., non-Lutherans)? Can members of Lutheran congregations also be members of secret or unchurchly societies (such as the Masons and the Lodge)? The delegates of the Iowa Synod brought with them a letter also asking these questions, with the exception of the first, because that Synod had decided that millennialism was theologically an open question with which good Lutherans could agree to disagree. The response of the General Council to the letter of the Iowa Synod was that the Council was not prepared to endorse the position of the Iowa Synod, but would "refer the matter to the District Synods until such time as by the blessing of God's Holy Spirit, and the leadings of his Providence, we shall be enabled, throughout the whole General Council and all its churches, to see eye to eye in all the details of practice and usage." The Iowa Synod, holding that there must be complete and hearty agreement not only in the principles of faith, "but also in an ecclesiastical practice accordant with such faith," refused to complete its connection with the General Council; its representatives contented themselves with the privilege of debate at its conventions. For similar reasons the synods of Ohio and Missouri decided not to enter into the union, and a few years later the synods of Illinois, Wisconsin, and Minnesota withdrew from it. The Four Points became the most important factor in the development of the General Council, arresting in its very first convention the realization of the original plan of its founders, and in no small degree "damping the bright and perhaps somewhat sanguine expectations of its warmest friends," while they kept the body for years in constant agitation. Ultimately, the General Council contained less than half of the Lutheran community previously existing as independent synods. The Synod of Illinois merged with the Missouri Synod in 1880, and the Wisconsin and Minnesota Synods merged as the Joint Synod of Wisconsin in 1917. ↑ Reed, Luther D., ed. (1923). Philadelphia Seminary Biographical Record 1864-1923. Mt. Airy, Philadelphia: Philadelphia Lutheran Seminary and the Alumni Association. Retrieved January 13, 2015. ↑ Ochsenford (1912), p. 513. ↑ Ochsenford (1912), p. 292. ↑ Ochsenford (1912), p. 288. Bente, F. American Lutheranism Volume II St. Louis: Concordia Publishing House. 1919. Ochsenford, Solomon Erb (1912). Documentary history of the General Council of the Evangelical Lutheran Church in America. Philadelphia: General Council Publication House. Retrieved October 14, 2015. The entire article from the Christian Cyclopedia.